I’m trying my very best to post all of my holiday purchases before Christmas this year. In fact while going over my Holiday 2018 Haul post I can see that I did just that. Then I remembered that I had a few from last year that never made it to the blog. To be fair I actually purchased the Jouer Best of Metallics Mini Lip Creme Gift Set after the holidays. Which is too bad because these shades would glam up any holiday look. Especially Bronze Rose and Snapdragon. Anyway, even though this set is from last year it’s surprisingly still in stock on the Beautylish website. 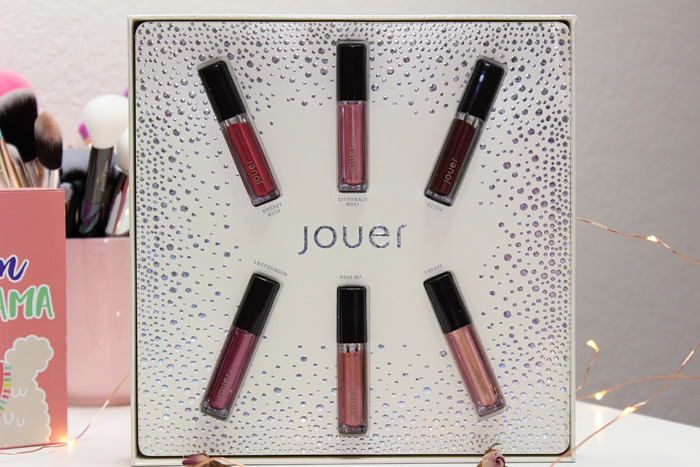 When I was looking over the Jouer Best of Mini Lip Gift Sets the Metallics was a very easy pick for me. 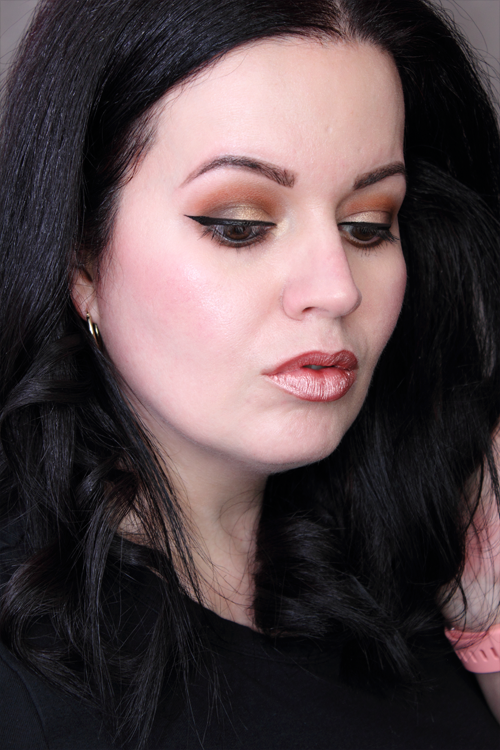 I love their Metallic Lip formula. It’s so creamy and rich. It applies beautifully! They make for a comfortable wear and last quite a while. I didn’t find them to be too drying either. They’re really great lipsticks and I’m so glad that I purchased this set. Some of the shades are more wearable than others. The lighter shades can be a little tricky, but you can definitely make them work with the right look. Unfortunately, I couldn’t get Papaye to work for me. It’s one of their more popular metallic shades. And I can see why. It’s the most gorgeous metallic peach. It looks more rose gold to me though. But it’s so reflective and looks more like a super shiny pale peach than anything. It looks a little nicer in person, but it definitely did not photograph well. I’m not ready to give up on it yet though. I’ll keep working at it to see if I can make it work for me. You can see each of these shades (with the exception of Papaye) in action below. Overall, I’d have to say this is a really cute gift set. The set includes 6 of their more popular metallic shades and comes in the prettiest box. It would make a great gift for fellow metallic lipstick fans. Jouer did a wonderful job putting this gift set together. I’d love to see more of these in the future. It’s a great way to try some of the more popular products without breaking the bank. I just might have to purchase the Lip Topper Gift Set before it’s too late. Their Lip Toppers are amazing! I can just imagine how beautiful those shades are. 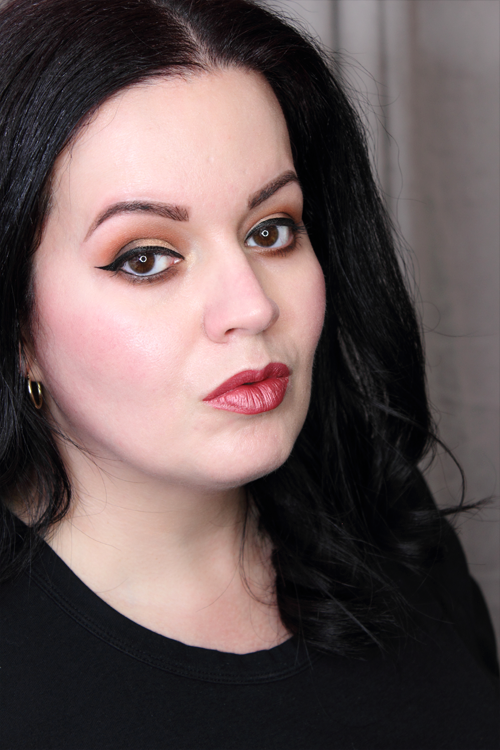 Are you a fan of metallic lipstick? What do you think of these shades? Y’all are probably wondering what’s going on around here? Well, I’m still here and trying very hard to rework my routine. Since I’ve started working my life has been sort of turned upside down. I work a retail job and if you’ve ever worked retail you know how it can be. Hours are sort of all over the place, they ask you to work extra shifts, and then there’s the constant schedule changes. It makes planning challenging. For the most part I work nights. My plan was to wake up early, do my housework, run errands, and then do a quick look for my blog posts. But my housework and errands take up so much time and before I know it I’m left with just one hour to get ready for work. It’s a lot. But this is good for me. It’s forcing me to do things that terrify me. Like drive. Long story short, my husband bought me a car about 2 months ago. It sat in my garage for weeks. Finally I decided enough was enough and before I knew it I was driving myself to my new job. Being in the Midwest makes driving that much more interesting. One minute you’re dodging tornadic-like weather and the next you’re trying to maneuver your way around a tractor that’s taking up the entire road without driving yourself into a ditch. I’ve had my license since I was a teenager, but never actually drove. I’d rather not go into detail, but it was always a fear of mine. I don’t expect people to understand. Many don’t and the expressions on their faces when I tell them about it is a dead giveaway. But it’s ok. We all have fears and we might not understand what the other person has had to deal with. But I’m not going to allow it to control me anymore. So what does this mean for Midwest Glam? Well, I don’t plan to quit my job or this blog any time soon. I just have to be better with managing my time. I’ll probably go down to blogging just once a week while trying to be more active on Instagram and Facebook. I will try to get back to my twice a week blogging schedule, but for the time being I can only manage to get out the one post. That being said, here is my post for the week! 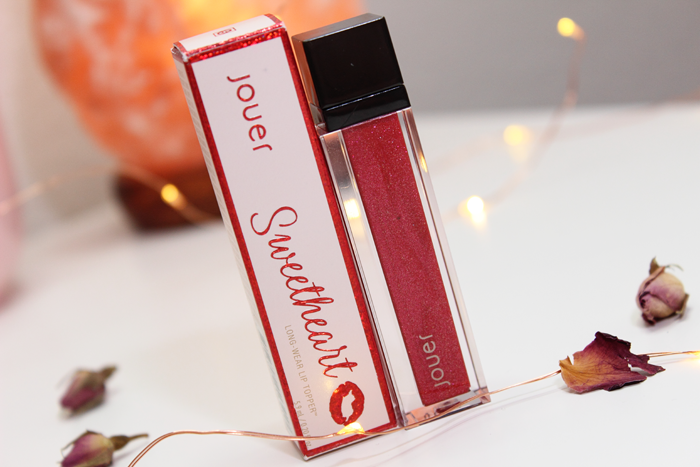 Back in April I posted about the Jouer Lip Topper in Sweetheart. It still remains a favorite of mine. I ended up purchasing Sweet Tooth along with Sweetheart. 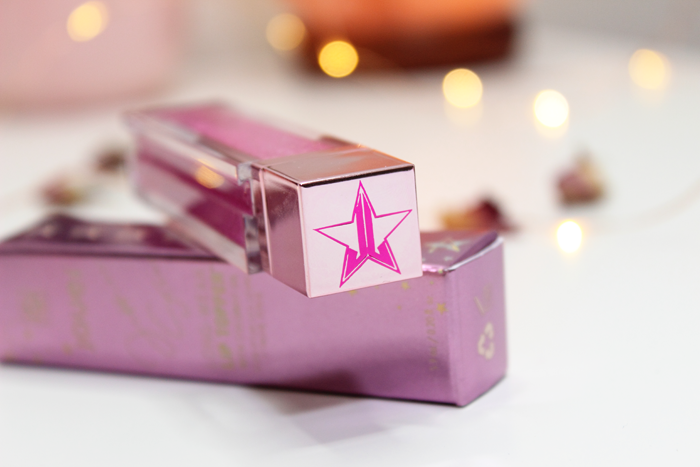 Sweet Tooth was a collab between Jouer and Jeffree Star. So you just know I had to get it! Sweet Tooth is described as a metallic shimmering candy pink. 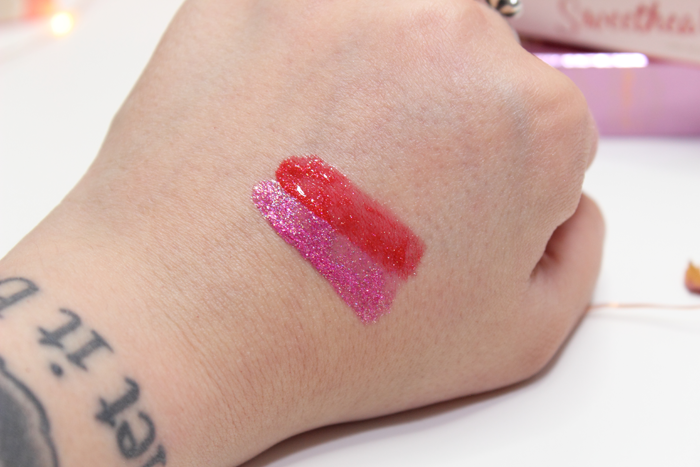 Like Sweetheart, you can wear this Lip Topper on its own or layered on top of your favorite lipstick. I usually wear it alone, but I can see this looking extra glamorous layered on top of a nice deep pink or berry shade. It applied beautifully. I found that it didn’t last nearly as long as Sweetheart, but touching up was very easy. It was a very comfortable wear and didn’t feel sticky at all. You can see Sweet Tooth in action below. 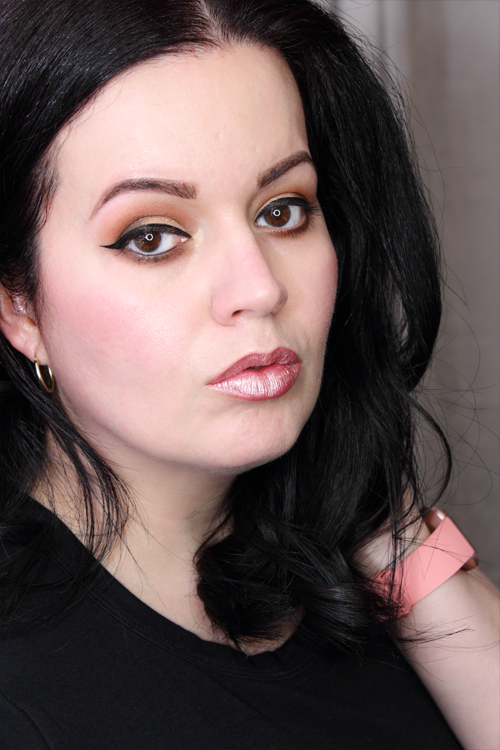 In my photo I’m wearing just one layer of Sweet Tooth. Overall, I’d have to say that I love Sweet Tooth. 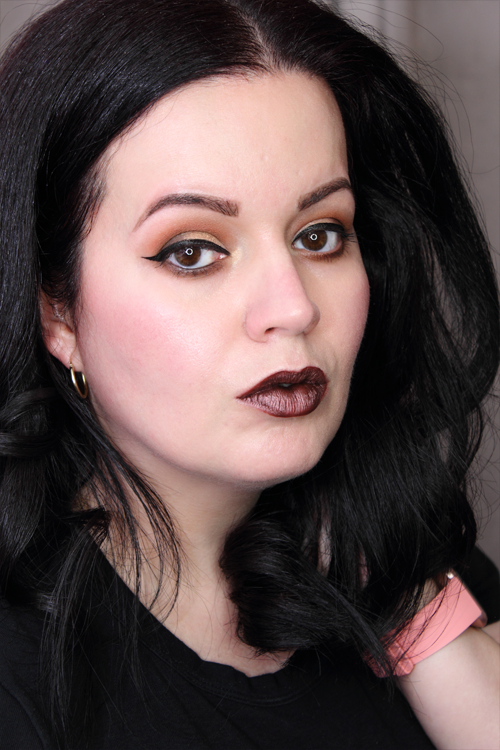 Surprisingly I ended up loving Sweetheart more, but Sweet Tooth is still beautiful and a great Lip Topper. 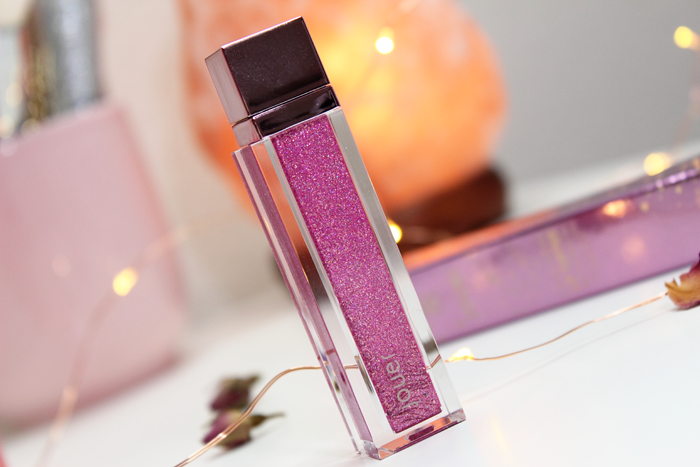 Another week another beautiful Jouer product! When I placed my most recent Beautylish order I went a little crazy on the Jouer products. So don’t go thinking this is the end of it. Because there’s lots more to come! 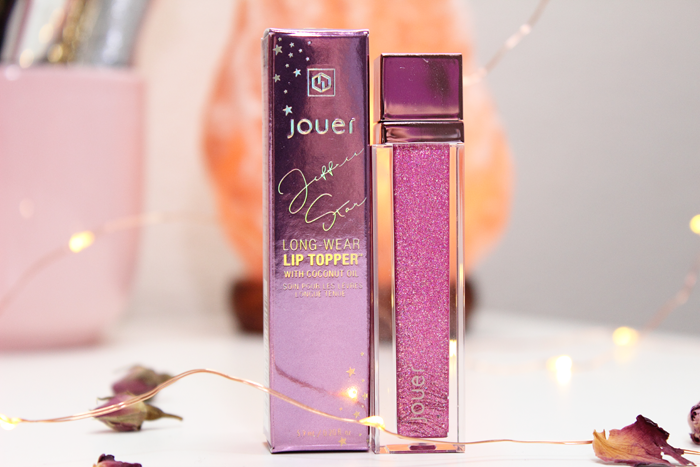 I’ve never tried any of Jouer’s Lip Toppers and I wasn’t even sure it would be something I’d like. 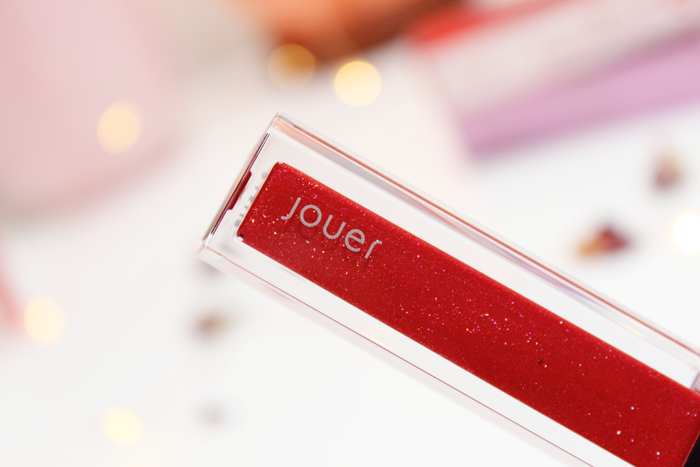 But when I saw the promo photos for the Jouer Lip Topper in Sweetheart I figured this would be the perfect time to try one. Sweetheart is a shimmering true red with pink and gold flecks. The packaging is just as pretty and sparkly as the Lip Topper. I seriously couldn’t stop staring at the product inside the tube. It was so much fun photographing it too. I’m so happy that I was able to capture all of that shimmer! Right away I noticed the sweet smell of vanilla. 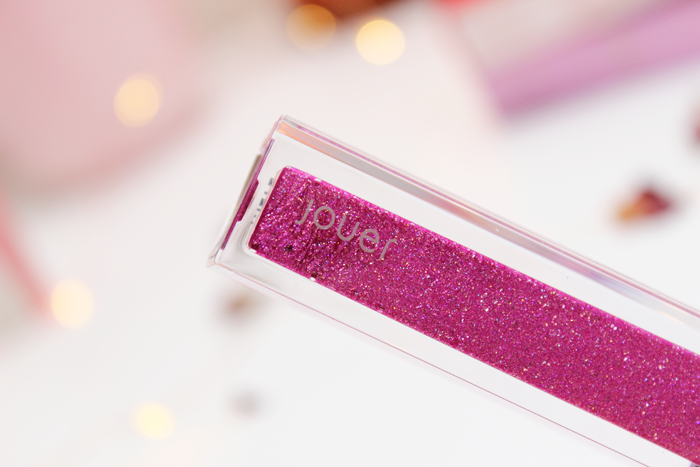 It’s described as a sheer, shimmering Lip Topper. 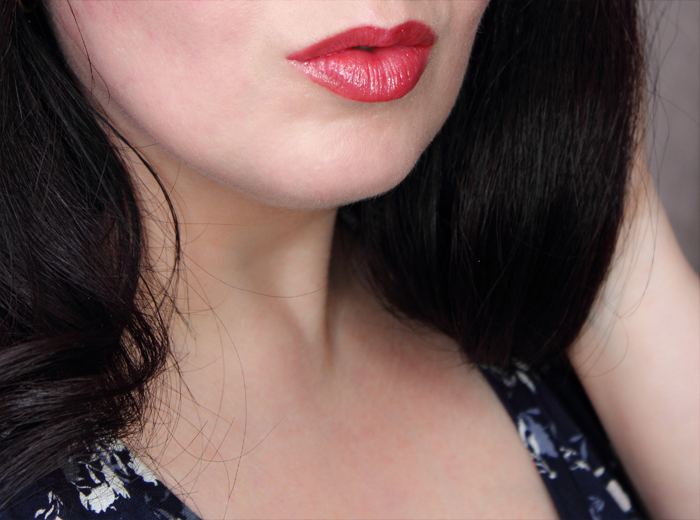 However, with just one swipe I was left with the perfect shimmery red lip. 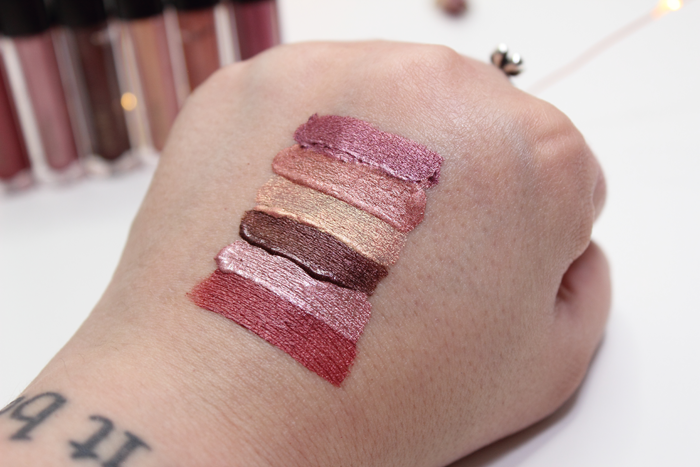 You can wear the Lip Toppers layered on top of your favorite lipstick or on its own. I always wear this alone. 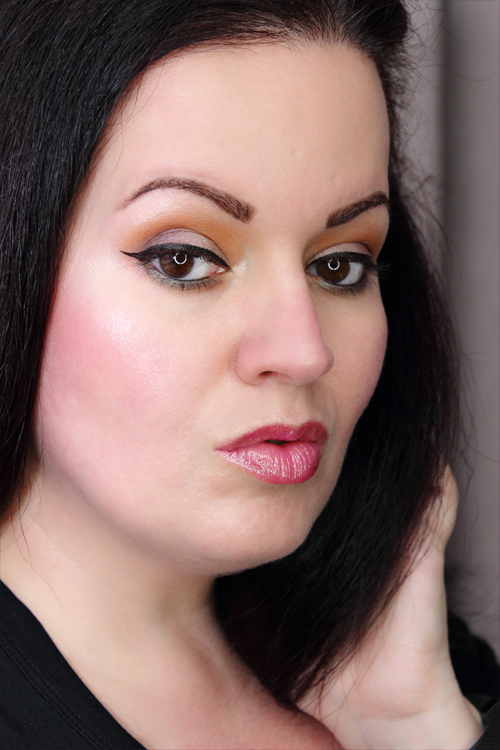 In the photo below I’m wearing just Sweetheart on my lips. It’s not exactly opaque, but it’s also nowhere near as sheer as I was expecting. That’s a good thing. For me anyway. It applied beautifully. It felt more like a lipgloss, but much lighter. It didn’t feel sticky or heavy. And it surprisingly lasts a long time! It does transfer when you’re eating and drinking, but it leaves behind a bit of a stain. Believe it or not this was still going strong at the end of the day. I also found it to be moisturizing. My lips never felt dry even after removal. 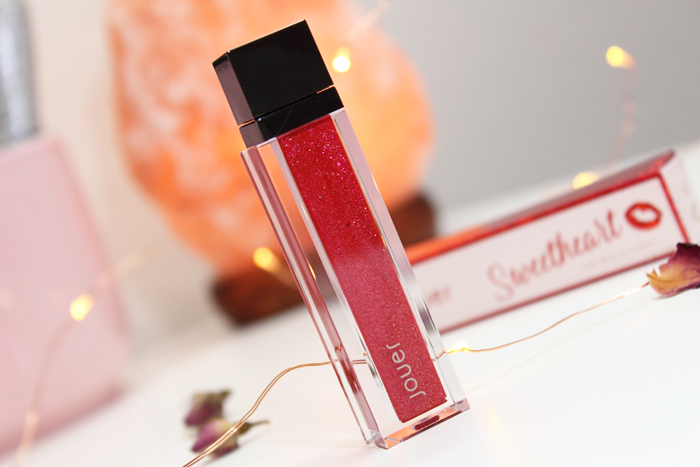 You can see the Jouer Lip Topper in Sweetheart below. 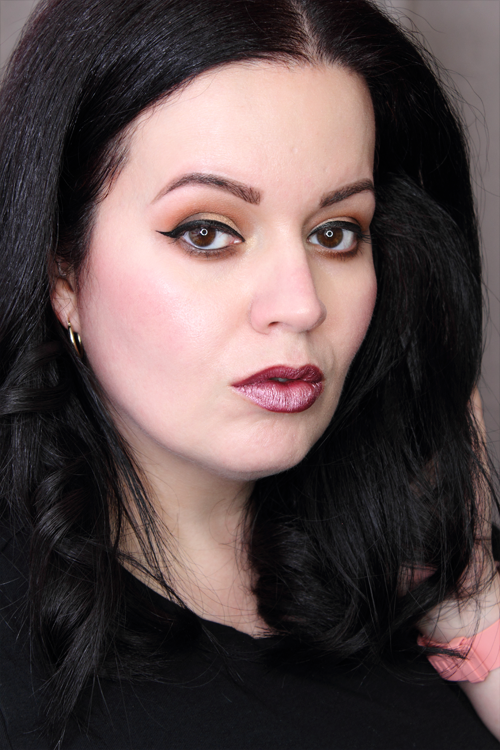 Overall, I have to say that this Lip Topper is beautiful. I didn’t think I would love it as much as I do. I keep it on my vanity and whenever I need a little pop of color I just reach for Sweetheart and my look is complete. 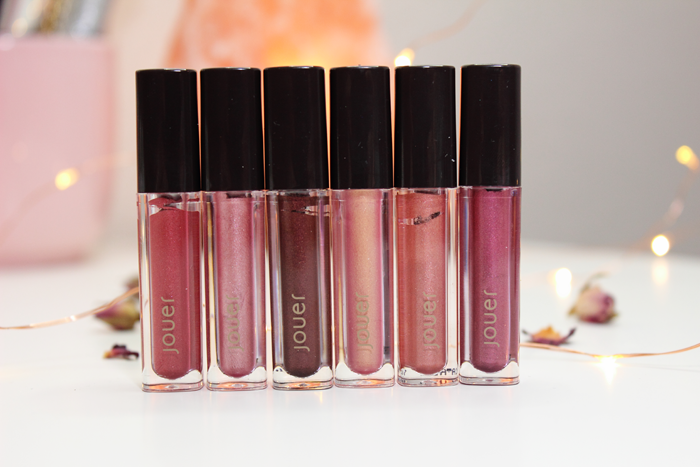 Have you tried any of Jouer’s Lip Toppers? What do you think of them?